As we celebrate Independence Day, it’s worth taking some time to look back at the Declaration of Independence and consider what it means for Americans today. How does this relate to the housing needs of low income people? The 6.8 million American households for whom there is no affordable, available rental housing know something about suffering. They spend a disproportionate amount of their income on rent and are thus forced to scrimp on other necessities. These families largely live in substandard housing. Their homes are often hours from their jobs. They frequently live in overcrowded, stressful conditions. Far from having the freedom to embark on the “pursuit of Happiness,” these are Americans barely able to sustain their lives. The persistent shortage of affordable housing tells us that the government’s efforts to ease the housing shortage have not gone far enough. The remedy we urge is milder than the one prescribed in the Declaration, but equally powerful. We believe that both those suffering, and those who stand with them, must band together to advocate for a lasting solution. We believe the evils are no longer sufferable for the millions of Americans who find their housing at risk due to job loss, foreclosure or wages that are simply too low to live on. They are not sufferable for children who fall behind in school, or for seniors who must live out their last years in poverty. And they are not sufferable even for the middle and high income Americans whose own housing is secure, but whose communities suffer under the weight of the housing and homelessness crisis. Professor Slauter writes that many groups, most prominently abolitionists but also those advocating the rights of women and workers, saw their mission validated in that phrase. The Coalition sees in it a validation of one of the core principles of our work: all Americans are equal regardless of income, and should have equal access to the opportunities and rights that being and American provides- especially access to affordable, decent housing. The lowest income Americans have suffered too long, and it is our right, and our duty, to advocate for change. We are so close to achieving the lasting solution we need. 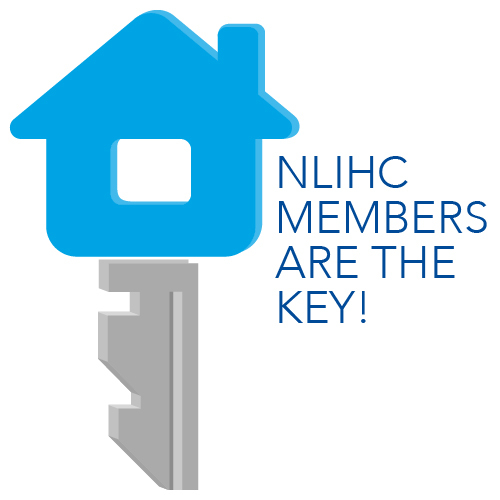 In 2008, Congress authorized the National Housing Trust Fund, which will provide communities with funds to build, preserve, and rehabilitate rental homes that are affordable for extremely and very low income households- those very households who suffer the evils of the housing shortage. This program is authorized, but not yet funded. This year, affordable housing advocates must see to it that Congress provides the National Housing Trust Fund with the $1 billion requested by President Obama. Viable dedicated funding sources exist; our job is to encourage Members of Congress to embrace them. As we celebrate our independence as a nation, let’s consider the rights generations of Americans have fought to protect, and the work we still have before us today. It was the advocacy of thousands of individuals and organizations that created the National Housing Trust Fund, and countless other good solutions to the problems Americans have faced. It will be our advocacy that funds the trust fund and brings our nation closer to achieving the life, liberty and happiness our founders envisioned.